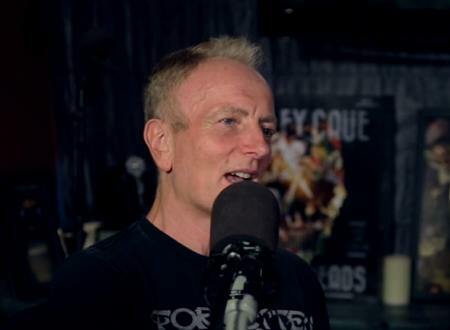 Def Leppard guitarist Phil Collen was recently interviewed about the Hysteria 30th anniversary release with the full video available. Phil spoke to ex-Motley Crue bassist Nikki Sixx for the Deeper With segment of his Sixx Sense radio show. The video was filmed in California before he travelled to South America for the current tour leg and at the same time as he filmed the My favourite Riff feature. 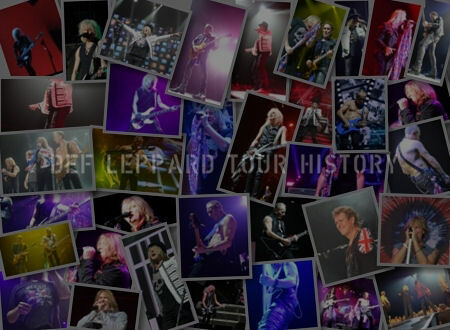 Phil talked about the Hysteria album's 30th anniversary, Girl, early Def Leppard records, Mutt Lange, first guitar/Deep Purple concert, musical influences, the G4 Experience, Def Leppard's band friendship, Tesla, 1986 Motley Crue guest appearance, his guitar style, live vocals, Hysteria 30th Anniversary Release, band tragedies, sobriety, Steve Clark and re-recording songs. Watch the full 34 minute interview video below. "Mutt Lange, our producer, he look, let's not make Pyromania II. Everyone else is making that. Let's be a bit brace, but it's gonna take a lot of work. It's gonna, you can't just - so we had to throw ego out of the window. And he has no ego whatsoever. Mutt Lange. Which is amazing, considering he's such a talent. So you end up trying to do things to almost please him (He's a perfectionist) - well not so much that, he's just has these great ideas and sometimes they're hard for us to get. He'd go, try this and he's always the best singer in the room. He has the best voice, he does, he's one take." "Right you see it fail a lot, but you know families are the same deal. You know relationships and everything. I think you have to be kind of really grown up. You have to accept a bunch of things that you normally wouldn't. You know we're very different to each other. 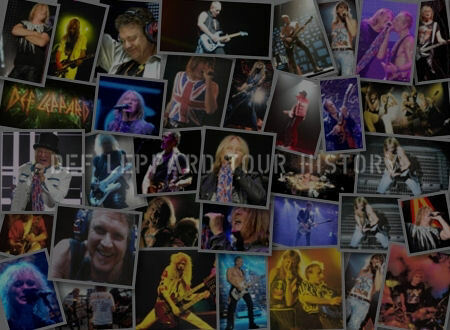 All the guys in Def Leppard to when we started. You know politically, spiritually, socially. Completely different." "And every band has it, you know, I just finished producing the new Tesla album. We done a lot of it on tour backstage and that. But you know it's Beatles, Stones, Queen, Zeppelin. That's what we did and really paid attention to the songs. And they were so cool but again me and Brian (Wheat) we are the best friends and we argue politcially. But it's great and we go, oh we're not arguing, we're just discussing. 'Cause people have left the room when we get into it, it's really funny. Love him, it's great." "Even at home 'cause we're doing this Rock In Rio thing and we're not really rehearsing. We have one day of rehearsal. But I put the DVD on and I'm sitting around singing and playing. But next week I'll be standing up singing and playing ." 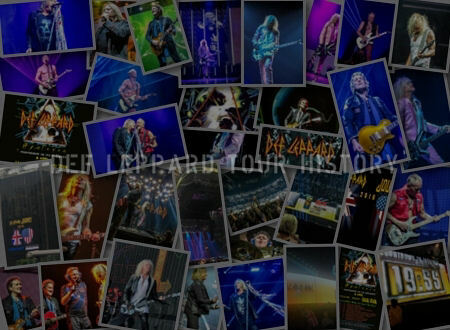 "Right so Joe Elliott is hoarder right. But he's got OCD as well. I mean he really, everything. All his albums, catalogue numbers next to them. Unbelievably organised. So as much as he hoards, he knows where it all is. So we let him do this. All of it. He done such an amazing job I gotta say. It was like 'Hey, what about if we do that?'. And we're like go for it Joe, what have you got?. So he dug up all this stuff like us live at the LA Forum in '83, Pyromania tour. Yeah all of this stuff. 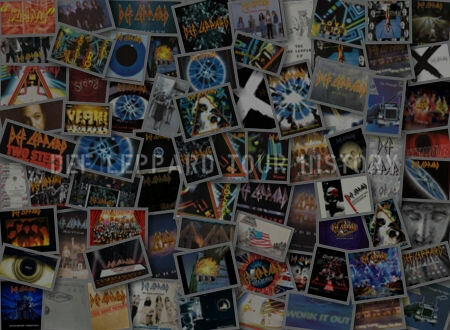 Actually perhaps the Forum '83 is not on here but the Denver '88 definitely is." "Laborious and fair play to him, he actually done the whole thing. So he was pulling this stuff out from his archives and under the stairs and that box in the shed and all of this stuff and put it all together. And the record label were great actually. Obviously we haven't been with them for a long time but when they suggested this it was like 'Yeah, that's a really cool idea' and we're totally on board." Band Tragedies/Was there a time when that's all people were talking to you about? "Yeah 'cause they actually thought that it was a weird curse thing. Yeah, it's like take any five people, take a family, I've spent more time with Joe than I have my Mother. And any blood relative you know. Well all the guys actually. We're on a plane, we're in the studio, we're on tour, we're in a dressing room. And we don't have star dressing rooms. We all share the dressing room still. It makes a difference actually ." What was Steve Clark like? "He was the most charming, lovely, shy. He was kinda shy like you'd see him on stage and he was the opposite of that. he'd be running around. Les Paul right down by his knees and all of that. But he was like really a sweet emotional guy. Really lovely and gentle. He was a gentle soul and it got him." Did he ever try to get sober? "He did a bunch of times. We'd talk for hours about it you know. (he'd say) 'I really wanna stop doing this'. So he was in and out a few times and yeah just downward spiral unfortunately." View all the Hysteria 30 Videos available so far on this YouTube playlist.